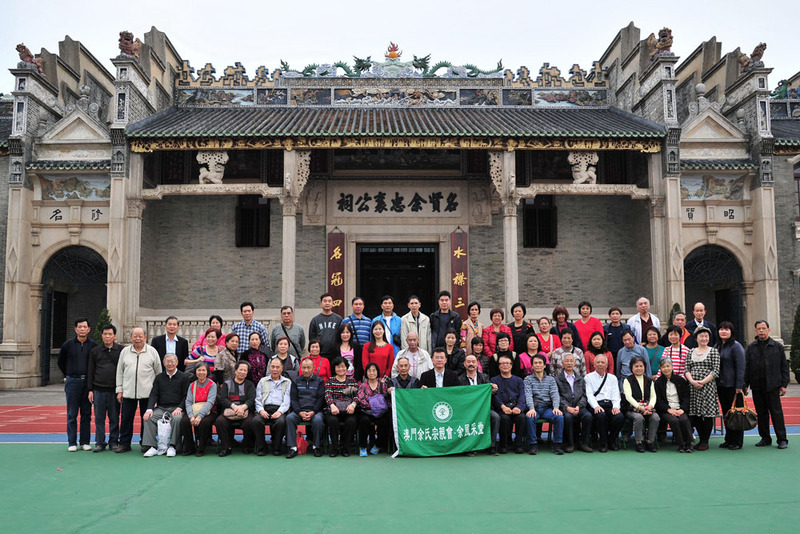 Welcome to the 34th issue of the Yee Fung Toy Global Village Voice, an electronic newsletter for the World Yee community. In this issue we are featuring new Board Installations, Winter activities from associations around the world. After four seasons of festivities in the Yee Chapters around the world, we would like to bid farewell to the Year of Dragon and to welcome the glamorous coming of the Year of Snake. During the Chinese New Year, all is new and full of hope. The World Yee Web committee would like to take this opportunity to wish good luck to all our readers in the marvelous Year of the Snake. 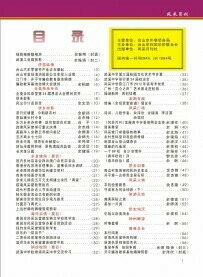 I hope that these Quarterly Issues will help us to better serve our readers. Too often we forget that a newsletter, even a family association newsletter, can survive only if it meets the expectations of its readers and is fruitful to them. Too often family association newsletters are managed having only a few contributors in mind. However, contributors, before being authors, were readers. Moreover, today’s readers will probably be tomorrow’s contributors and authors. If we can offer them a qualified, broad insight on the internet online and multimedia technologies field, we not only serve them, but we also contribute to educate new generations of authors, thus ensuring a bright future for this newsletter. All this can be achieved through constant feedback from our readers. So, please, do not hesitate to contact me with your comments, complaints and suggestions. They will surely help me in making this newsletter more and more useful and desirable. 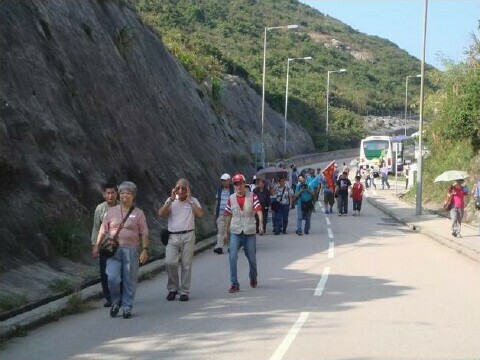 Members of the The Hong Kong Yue Clansmen Association went on an Autumn day trip to Sai Kung on November 10. 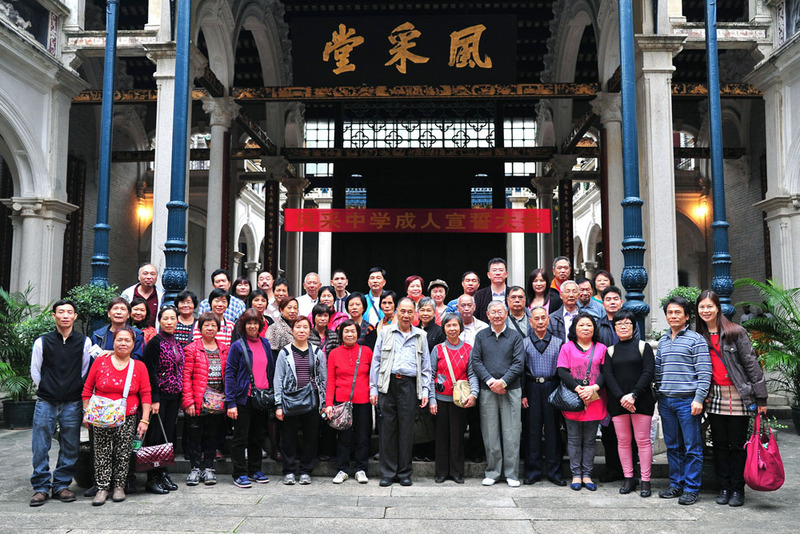 The itinerary include Tin Hau Temple at Fat Tong Mun; Tai Au Mun, Sai Kung Country Park; and Lions Nature Education Center, followed by a tasty seafood lunch at Tung Kee Seafood Restaurant. Sai Kung Town or simply Sai Kung is a town on Sai Kung Peninsula, facing the Sai Kung Hoi (Inner Port Shelter), part of Sai Kung District in the New Territories, Hong Kong. Sai Kung is the centre of the surrounding villages, and hence the name may refer to the areas in its immediate surroundings. 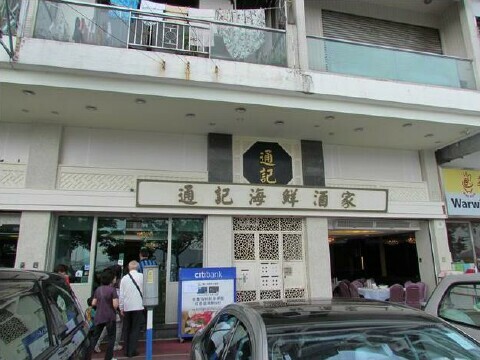 Having evolved from a fishing village, Sai Kung is a mecca for seafood lovers, locals and foreign tourists alike. 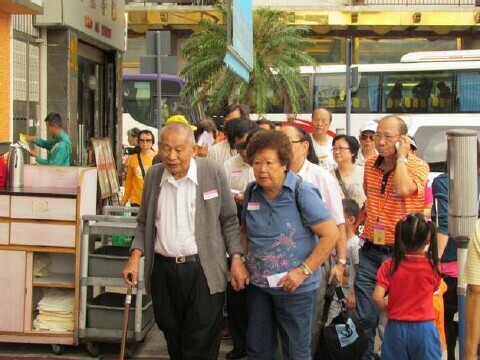 Visitors can stroll along the waterfront of Sai Kung Town or explore the lanes of the old town, visit the Tin Hau Temple, feast on seafood or enjoy different delicacies at Western-style pubs and restaurants. The name "Sai Kung" came into being around the early days of the Ming Dynasty (1368-1644) when the Emperor Chengzu (also known as "Yongle Emperor", 1402-1424), ordered an official named Zheng He to make seven voyages to the "Western Oceans". 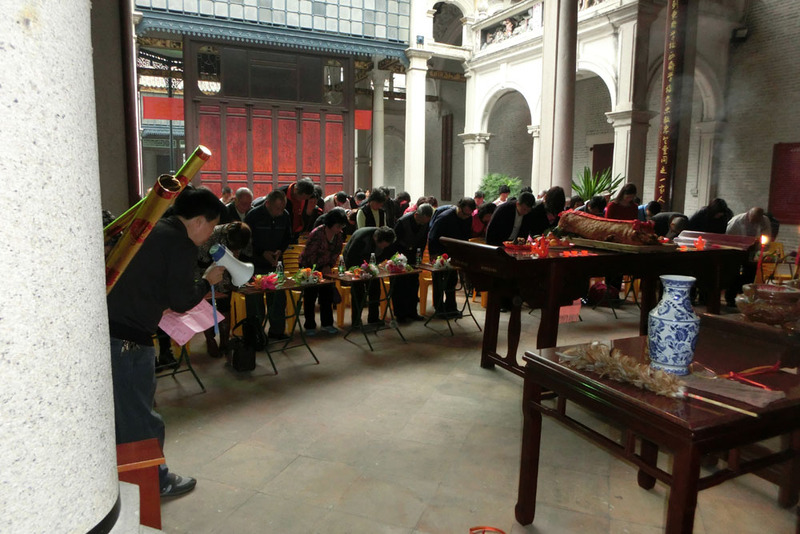 After one of those epic voyages, many countries in regions of today's South-East Asia, the Middle East and East Africa started paying tributes to or trading with China. 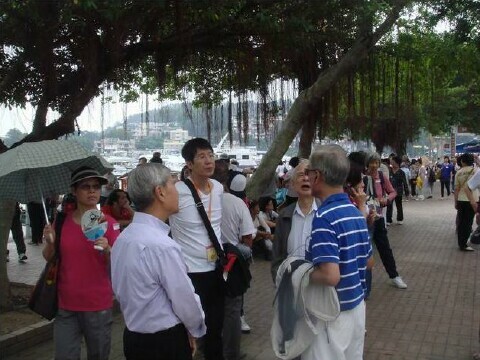 Sai Kung was just a port of call at that time, while its name means "tributes from the West" in Chinese. Tin Hau Temple (Fat Tong Mun) (“Tai Miu”), being the largest Tin Hau Temple in Hong Kong, the imposing Tin Hau Temple (Fat Tong Mun) (also known as "Tai Miu" which means the Grand Temple) in Sai Kung was established over 700 years ago. 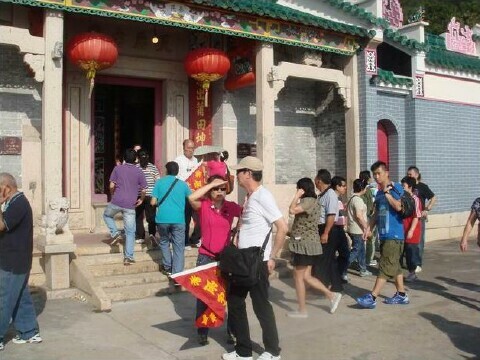 The temple is the oldest one among all existing Tin Hau Temples in the coastal areas of Guangdong. The magnificent temple is partitioned into 3 parts with one entrance only. The main hall is dedicated to "Tin Hau", Goddess of the Sea, while in the side hall on the right there are a bronze bell and Tin Hau’s bed. 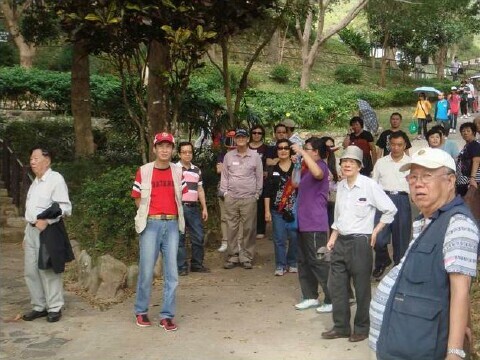 There are a lot of country parks and hiking trails in Sai Kung district. Travel south from Sai Kung Town you will find another place with natural scenery – Clear Water Bay. Begin your journey in Tai Au Mun at the end of Clearwater Bay Road. 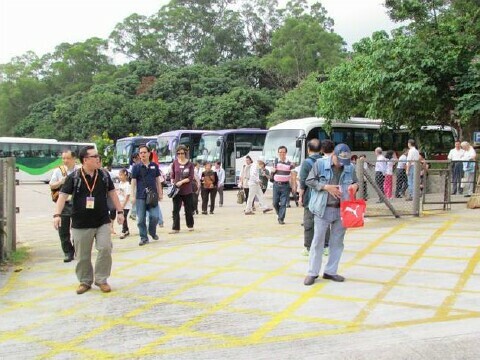 It is part of the Clear Water Bay Country Park, a very popular barbecue and picnic destination with cool breeze. Many people come here to fly kites. 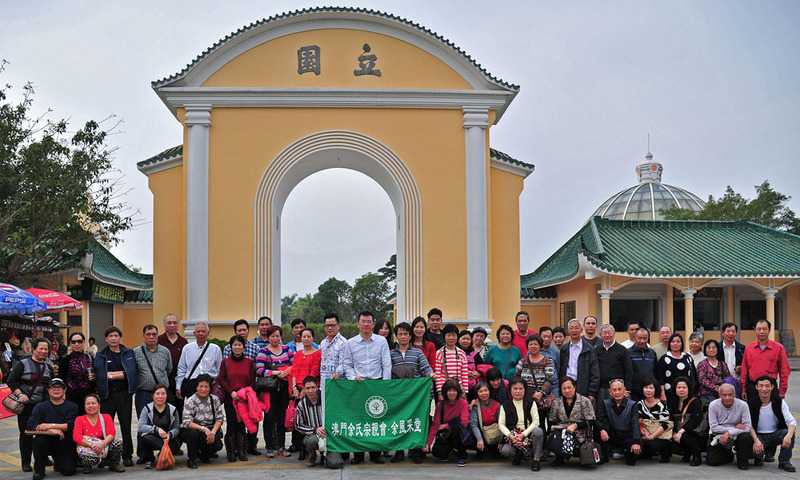 Lions Nature Education Center takes up 165 hectares of land. It is one of the most notable nature conservation zones in Hong Kong. There are 17 outdoor display areas in the Center, including fruit orchards, an arboretum, a rocks and minerals garden, a medicinal plants garden and a demonstration tree nursery. 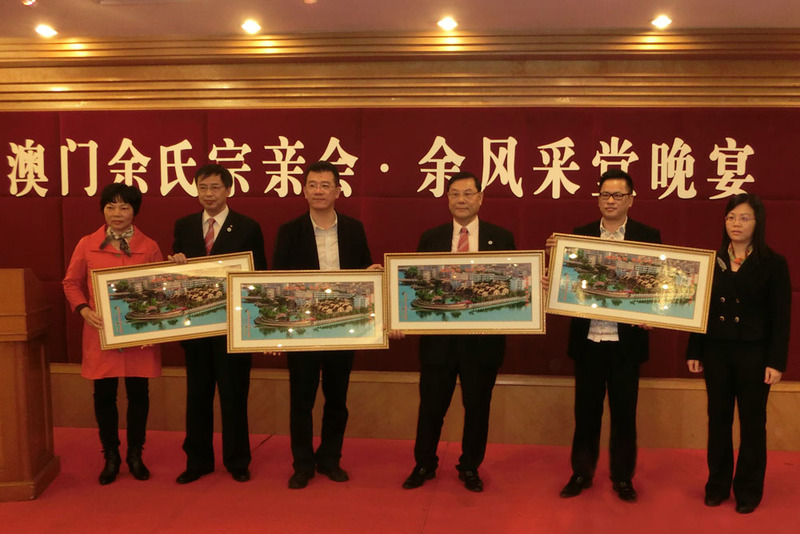 There are also 5 exhibition halls, including the Countryside Hall, the Agriculture Hall, the Fisheries Hall, the Insectarium and the Shell House. The Center contributes comprehensively to education, recreation, nature conservation and scientific research. 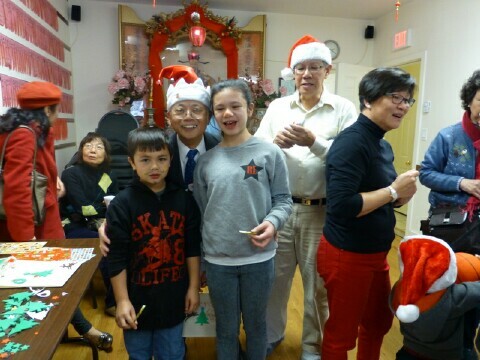 New England Yee Fung Toy Association held it's 2012 Inauguration Ceremony and Christmas party on December 9, 2012. 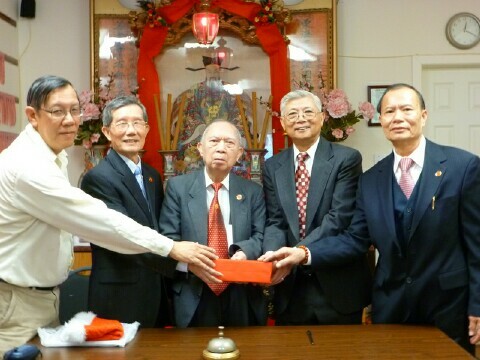 Eastern Vice Grand President Peter Yee and Grand Elder Henry Yee presided over the event. 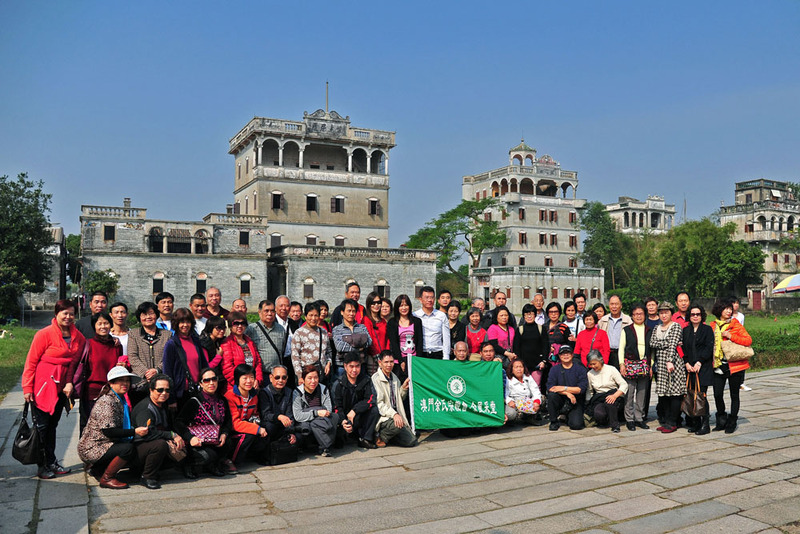 Members of the Macau U Fong Choi Tong tour Kaiping and Dihai Ancestor Hall on December 13th, 2012. 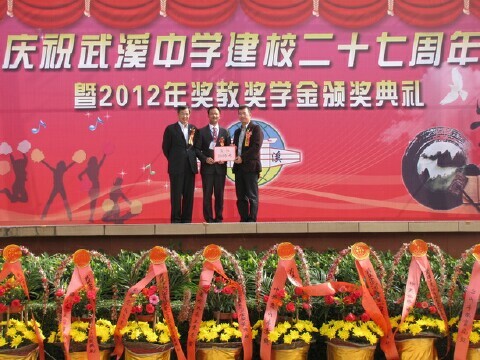 Taishan City Wuxi Zhong Xue celebrated her 27th Anniversary on December 14th, 2012. 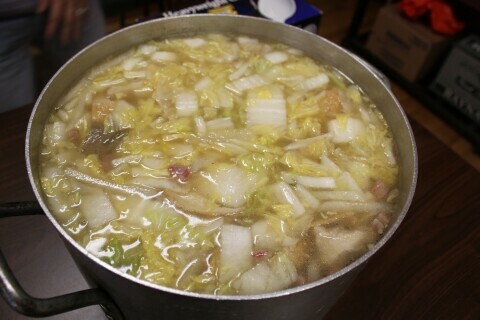 Winter Solstice Festival is also called Dong Zhi Festival. 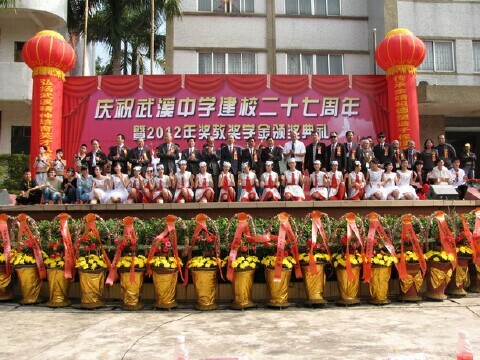 It is one of the most important festivals celebrated by Chinese. 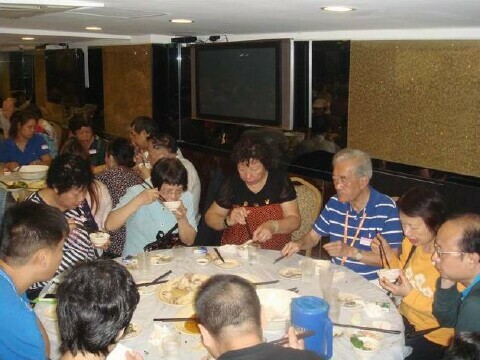 Traditionally, the Dong Zhi Festival is also a time for the family to get together. 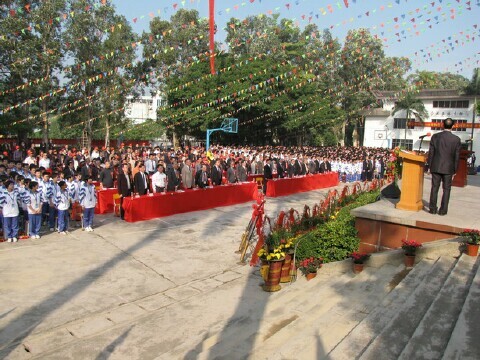 (It is equivalent to the American’s Thanksgiving Day) This year, Yee Fong Toy Association celebrated Dong Zhi held on December 16, 2012. 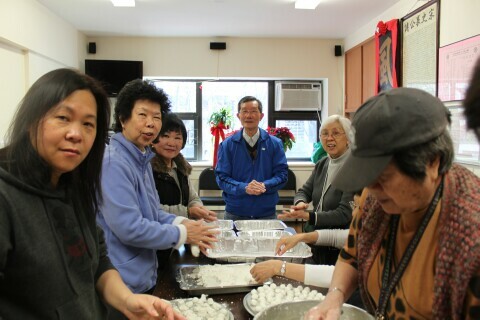 Members came early to help in preparing for the celebrated in spite of the extremely cold weather. Some members arrived as early as 9:00 AM. 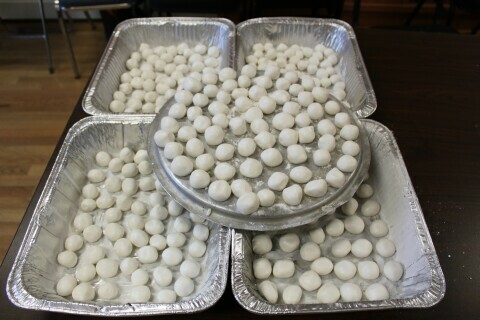 They performed tasks such as washing and cutting vegetables, while others made Tong Yuen from glutinous rice flour (mixed the glutinous rice flour with a small amount of water to form balls) and cooking them boiling water. 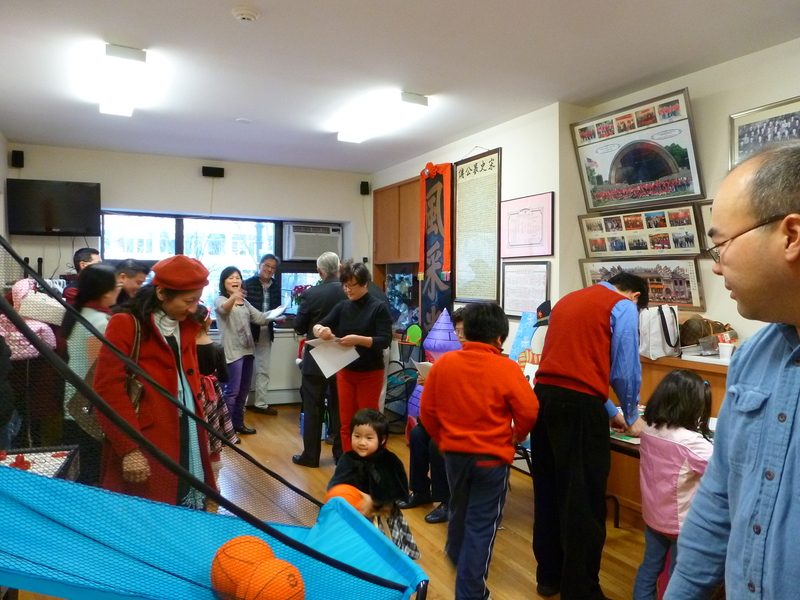 Everyone was kept very busy in this event at YFT Association. 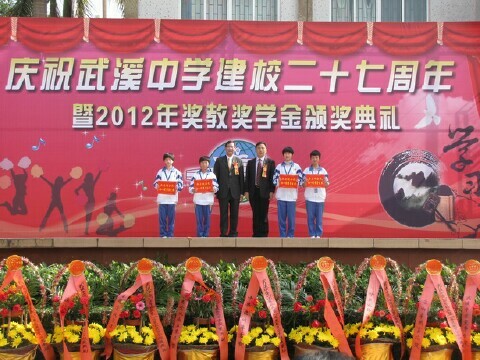 Southern California Yee Fung Toy Association held it's 2013 Inauguration Ceremony on December 23, 2012. 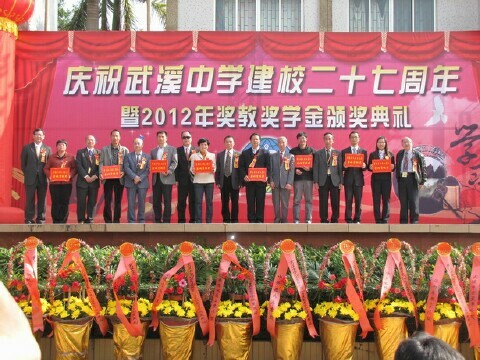 Western Grand President Alan Yee presided over the event. 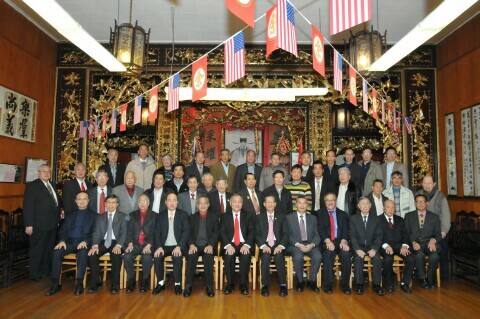 New York Yee Fong Toy Association installation of 2013 elected officers was held on Sunday, December 23rd. Congratulations to the 2013 team! 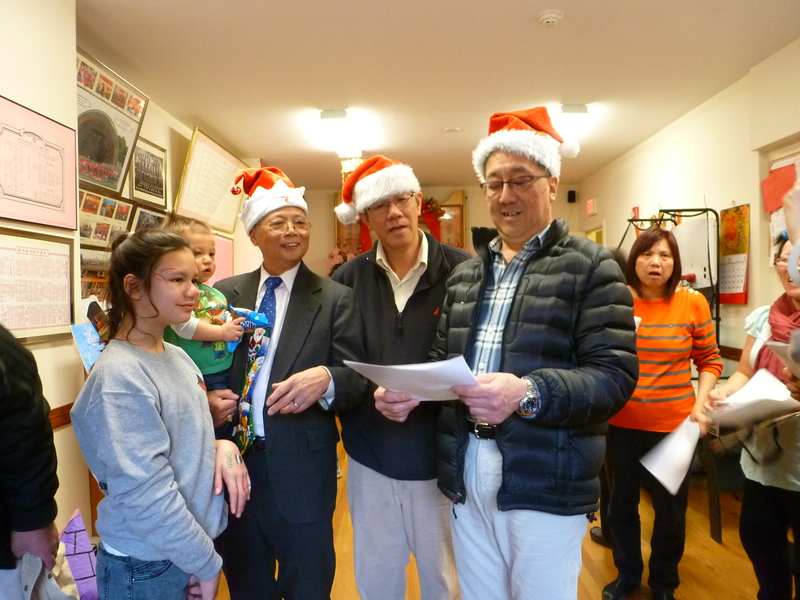 Grand Elders: Wai Hing Yee, Peter Yee, Kenneth Yee. Advisors: Andy Yu, Frank Yee. 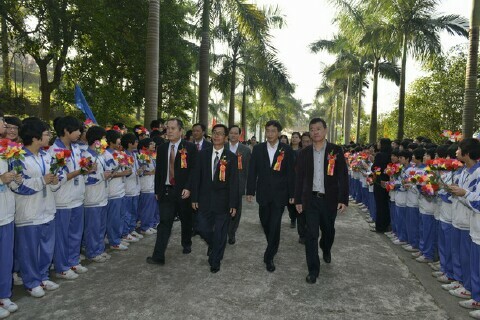 Presidents: Dian Rong Yu, Dong Rong Yu. Chinese Secretaries: Foo Quock Yee, Jack Yu. 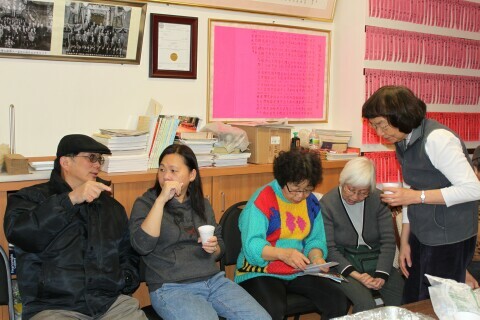 English Secretaries: Frank Yee, Christine Yee. 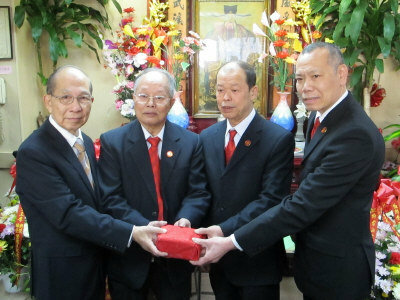 Treasurers: Jin Shao Yu, Guo Zhi Yu. 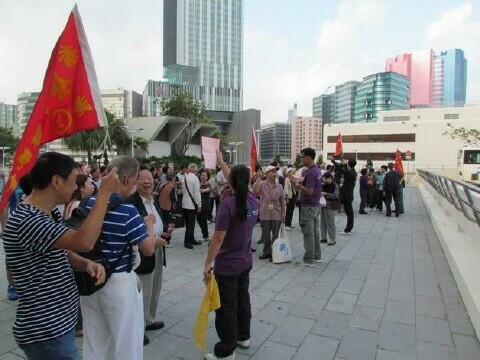 Auditors: Guo Wei Yu, Kin Kong Yee. Public Relations: Eugene Yee, Kennie Yee. 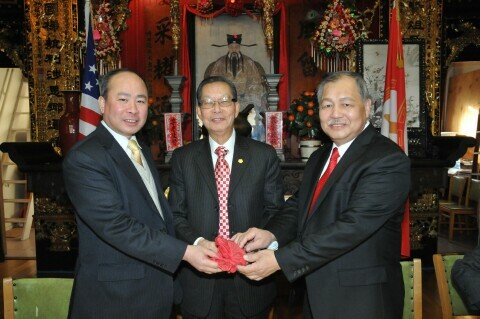 Building Presidents: Frank Yee, Andy Yu. 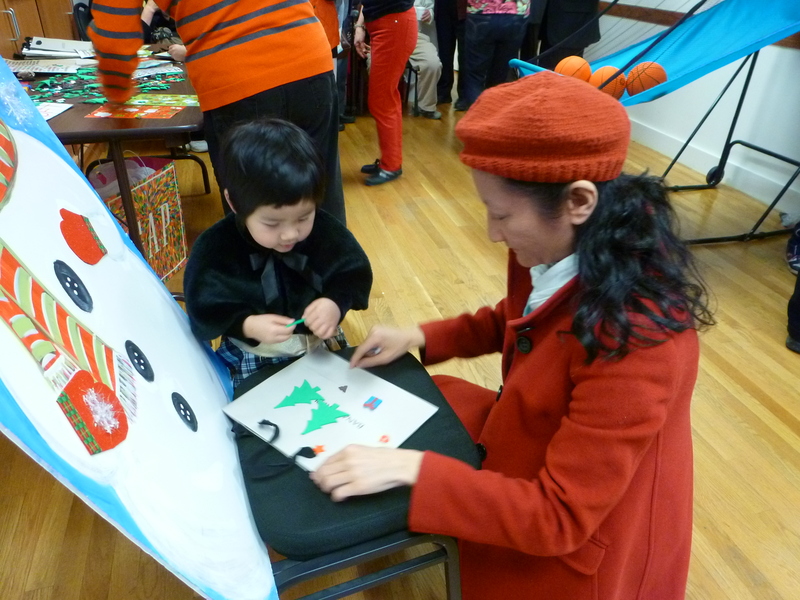 February 10th, Sunday: Gung Hay Fat Choy! 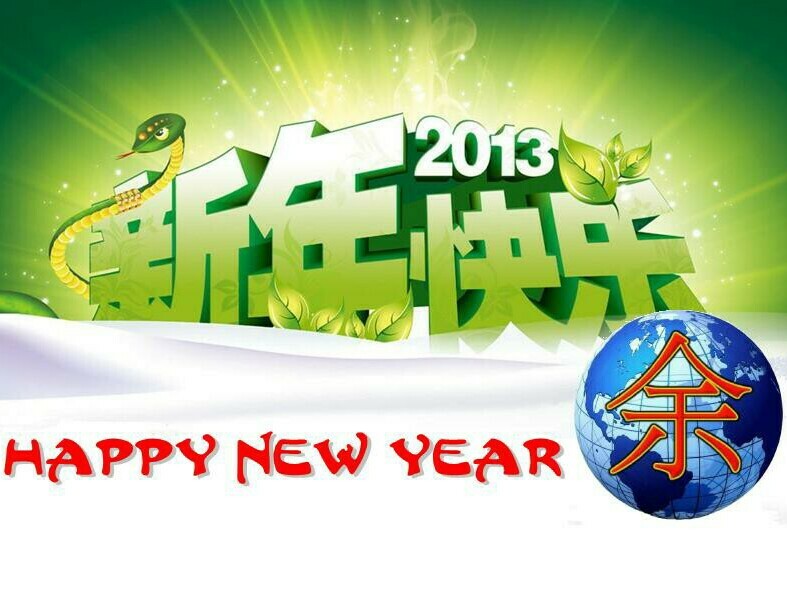 Chinese Lunar New Year, the Year of the Snake (4711). Members can stop by to get your hong boa/lai see (red envelope/lucky money). The Annual Firecracker Ceremony and Cultural Festival will be at Sara Roosevelt Park, Grand and Hester Street, 11:00AM - 4:00PM. 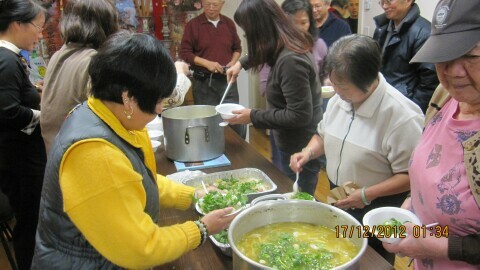 Hosted by Better Chinatown Society. 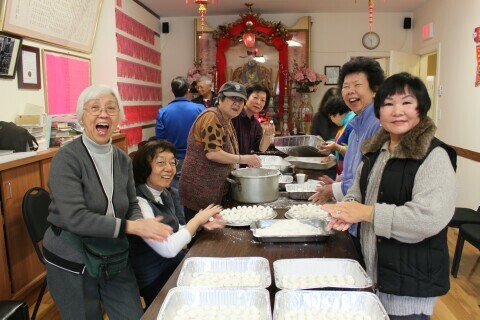 March 2nd, Saturday: Association's Chinese New Year/Spring Banquet to celebrate the Chinese Lunar New Year and to honor senior members. 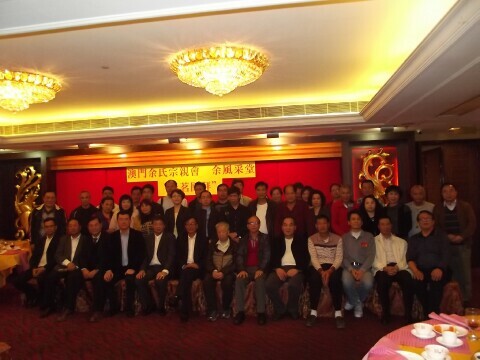 Banquet will start at 6:00PM at Jing Fong Restaurant, 20 Elizabeth Street, NY 10013. US East - Peter Yee, Gong Sum Yee. US West - Alan Yee, Fred Yee. Gene K. Yee, Hsui Young (Tom) Yee. Guo Xi Yu, Henry Yu (Tin Won Yee). 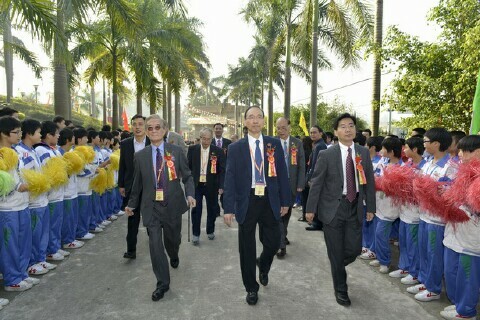 Sam Yee, Guo Lian Yu. Ock Ting Yee, Shui Sum Yu. 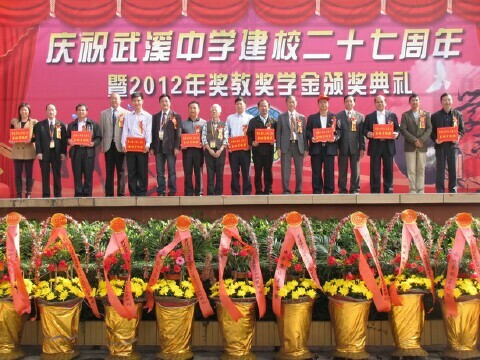 Herbert Yee, Tom Lee, Gene Yee, Kwok Ping Yu, Henry Yu, Sui Mo Yu. 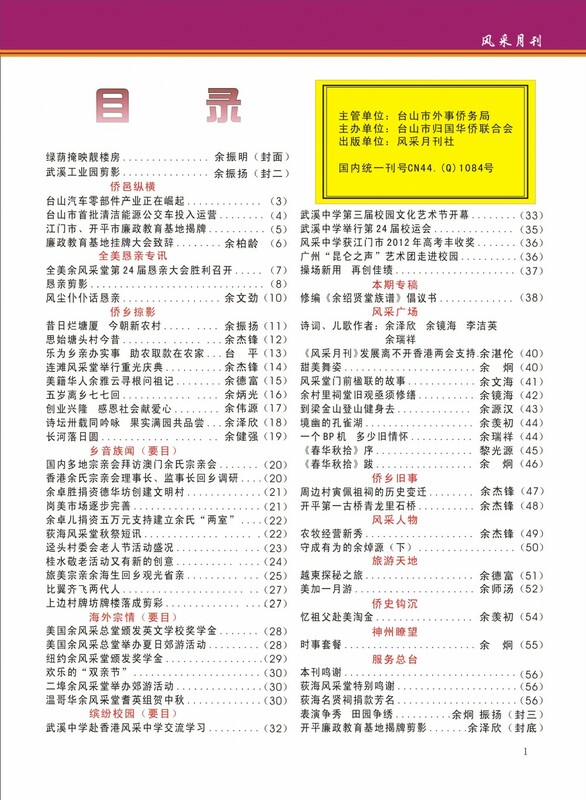 Art, Ock Ting, Shui Sum, Ting Watt, Henry, Sam, Guo Xi, Kwan C., Run Hong , Sui Wah, Joe Leung, Guo Lian, Willie Chuck, Mon Wai, Kui Jam, Ken, Alfred, Hong Mo, Randy Siu Mo, Pat, Sui Lim, Eugene, Wan Ji. 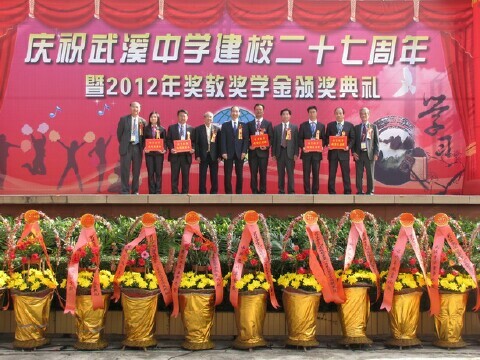 David, Oy Sun, Buck Yan, Stanley. 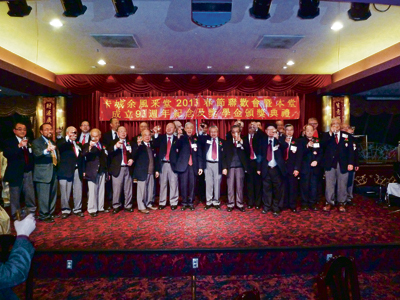 The Southern California YFT annual Spring Banquet was held on Saturday, February 16th. 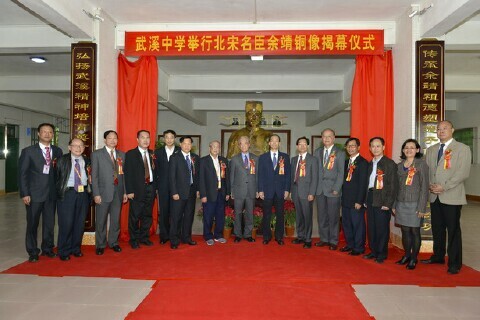 Ancestor ceremony was held at the Association Hall at noon. 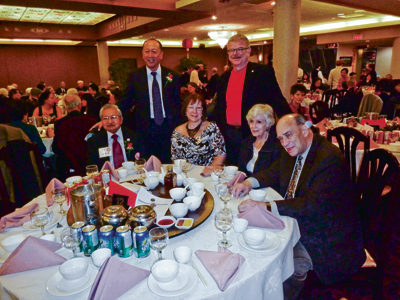 The evening festivities was held at the Empress Pavilion Restaurant. 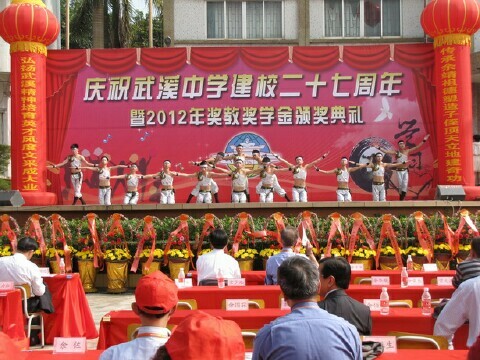 The next issue of the Yee Fung Toy Global Village Voice will be published in mid June, 2013, featuring reports of Ching Ming and Spring celebrations at Yee Fung Toy associations around the world. Please submit your articles to the Editor via email (world.yee @ gmail.com) or postal mail (The Editor, 226 East Georgia Street, Vancouver, B.C., Canada V6A 1Z7) by May 15.